As most homeschoolers can attest, it's a way of life! Today I'll be talking less about the "how to homeschool" issue and more about the "how to keep the home running while you school" issue. This is especially challenging to those with little ones underfoot! I vividly remember the days of having both teens and toddlers around, and having to juggle between driving to activities, managing pre-schoolers, actual teaching and trying to keep up with meals and laundry! Heck, even with no little ones to blame it on these days, life is just sometimes too busy and rushed and, well, full, to allow me to be the domestic diva I once was dreamed about! Maybe you're in a similar situation now? 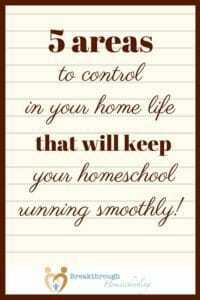 Here are 5 home-related areas to take control over to help you run a successful homeschool! Doesn't it seem that no matter HOW old your kids are, or how many you have, somebody is always hungry? And, at least for many of us, it's just pretty stinkin' hard to plan well enough so that "time to start supper" wasn't 2 hours ago, or in the middle of a science experiment, or during play practice, or some such other inconvenient time! And don't even get me started on keeping the pantry stocked, and what it costs!! Aargh! Last fall I went through a 10-week course offered by Erin Chase of $5 Dollar Dinners that helped me tremendously...and it can help you, too! My big takeaway was this: I can always learn more about saving money on groceries in order to make meals my family will eat! Click To TweetSaving money will enable me to keep the pantry stocked and plan ahead. That same planning is crucial to feeding my crew healthy meals while sticking to a budget. See how it all works together? With those loads off my mind, it's much easier to focus on the important: my kiddos and the present moment <3! Read my review of the program here. Is it just me, or do you have a hard time working amid the clutter, too? I find it a real struggle to get anything productive done - let alone school - when there's stuff all over the place! Who hasn't woken up to piles of clothes in your own bedroom (or maybe on the couch or in the kids' rooms...) and thought "Geez, I have GOT to get to that laundry today!" (And if you haven't, would you please let me know how you do it?! We'll be BFFs forever...) Enlisting the help of the kiddos is, of course, important for many reasons, and yet keeping track of who-does-what is sometimes its own chore! I've always been a fan of the printed schedule, but since so many of us are plugged-in these days, check out some suggestions I made for using technology to organize household chores here. 3 - Classes and lessons and activities, oh my! What a challenge it is to keep all the schedules we have, isn't it? I mean, even if you have little ones, you may have a co-op class or two, and when you add in the older ones, with lessons, sports, drama, volunteer commitments, online classes, etc well, it can be a little hard to keep it all together sometimes. I've finally crossed the line and gone online, syncing my planner with my smartphone and Gmail calendar. Read my review here of Homeschool Planet, and how that tool can help YOU move into the 21st century to stay on top of your schedule! It's really important to remember that just because we're doing things together doesn't mean we're getting to know each other better. Take any opportunity you can to have a date with your hubby and the kids. Make sure you unplug tech so you can really tune in to each other.When the home fires aren't being attended to, our homeschool suffers, too Click To TweetShare the joy of reading together - cuddle up with the kids and/or read through a good couples devotional together. Exercise together - this can be LOTS of fun if you let it be 😉 Learn what makes each family member open up...and then plan your next move! I don't know about you, but holidays have usually been a part of our homeschool learning experience, especially when the kids are younger and are absolute sponges for that kind of thing! So it just naturally follows, then, that anything you can do to take out the stress and strain will help you not only be a better person to be around but also enable you to find and take advantage of those teaching moments! From Christmas to summer vacay to Biblical holidays (just some examples from our own homeschool life), you, too, can make holidays a rich learning time when you create a plan to handle the holidays. be equipped and inspired to keep homeschooling through high school! This post is part of the iHomeschool Network's Homeschool Hopscotch. 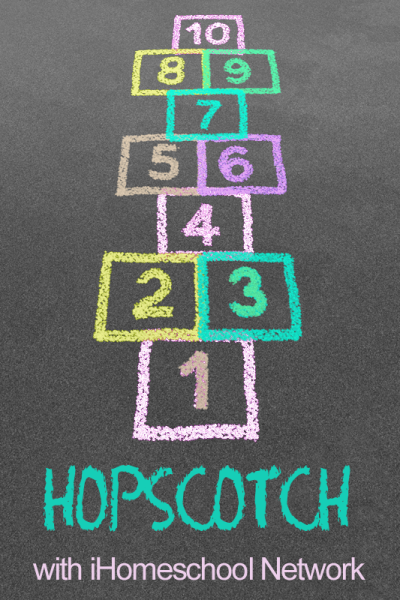 Just click on the hopscotch graphic and find links to a myriad of helpful tips on various other topics contributed by our blogger friends in the iHomeschool Network! I needed this. 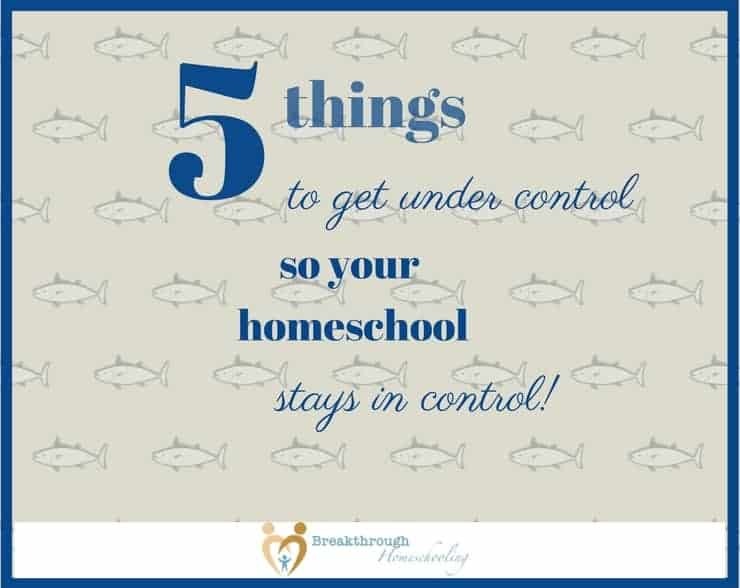 🙂 I do struggle to keep things under control in our homeschool, just as most of us do. Thank you so much for sharing at The Blogger’s Pit Stop. Oh Marie, you’re right – most of us DO need help…we need each other! Thank you so much for stopping by from the “pit crew”. I understand your struggles…guess it’s all a process, isn’t it?! Love your blog – I’ve gotten started (again) on the 21-day Fix, too, hoping for better results this time (though no fault of the program, if ya know what I mean…)! Thanks for stopping by…hope you come back and share at our link party, Coffee and Conversation! Oh girl, you are so right!! I love these recommendations for areas to consider when homeschooling. My focus now is getting a meal plan that works. Taking baby steps to better control! So glad to have found this on The Homeschool Nook! I imagine you’d have to have a very organized area for homeschooling to maintain control and a good learning environment. Thanks for sharing your post with us at the Over the Moon Link Party.